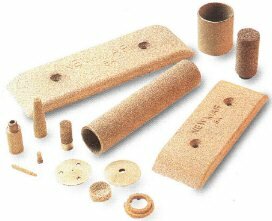 We can offer you a complete range of custom-made filters for your specific porous metal applications. As well as the standard tin-bronze and 316 stainless steel materials, we can offer nickel bronze and also pure copper sinters. Post-sinter pressing can optionally be used to size your components to a high degree of accuracy. Additionally, a standard line of discs, tubes, sheets and threaded filter elements is available.